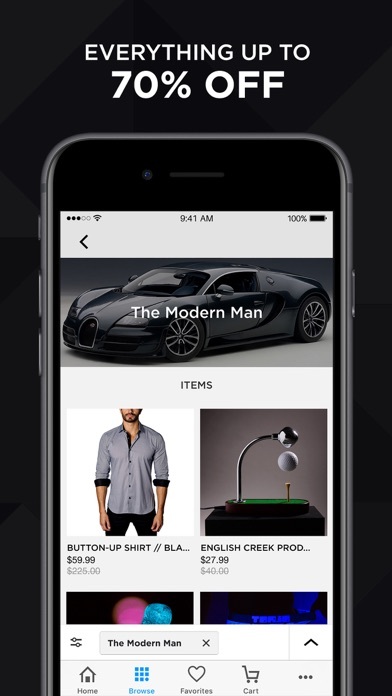 Touch of Modern is THE Shopping App for Men to discover the world's most interesting products and at amazing prices. 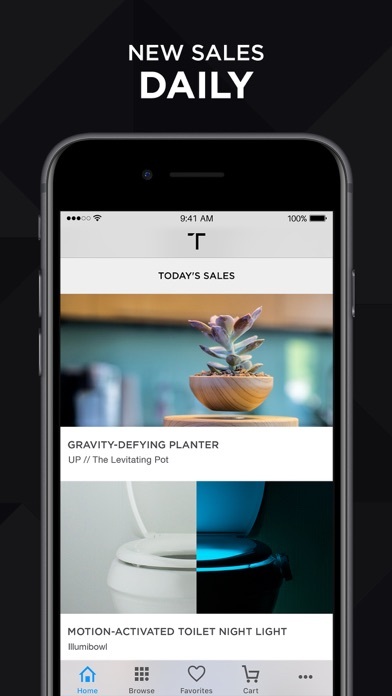 With dozens of new sales added each day, TOMO will be the Shopping App you lust to check every day. Join millions of men discovering new designer products at up to 70% off retail. Touch of Modern is the #1 app in the U.S. to shop conveniently for unique electronics, watches, furniture, gadgets, fashion and accessories. We source internationally to bring you modern products at unbeatable prices delivered straight to your door. 1. Shop with more than 13 million Touch of Modern users to instantly view daily sales of up to 70% off top designer products! 2. Touch of Modern is your one-stop-shop for all things stylish- from watches, home decor, tech accessories, gadgets, to all things fashion. 3. Discover a better way to shop. 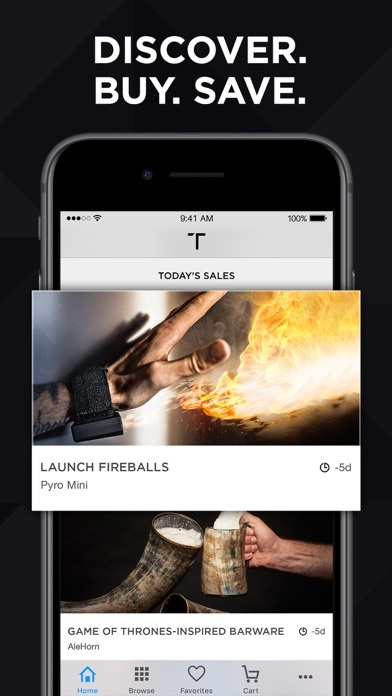 TOMO gives you curated sales and first access to limited-time only deals selected by our in-house experts. 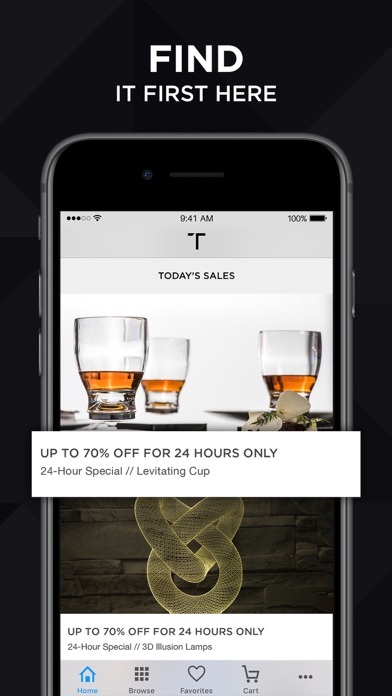 The Touch of Modern app provides you with a FREE, fast, and exclusive membership to: - Dozens of hand-picked items and deals added daily - Sales of these highly coveted items are up to 70% OFF and last ONLY 5 days - Discover the most fascinating and well-designed products in the world at the BEST possible price - Shop on the Go! Have some spare time while commuting or just waiting for your friends? 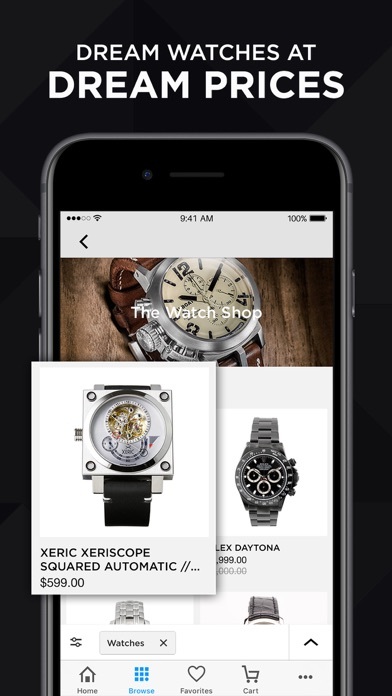 Check out our app, discover, browse, shop select and check out within seconds. Put your spare time to use, and own the cool gadgets, fashion, phone accessories or wallets that you’ve always wanted. Horrible products that take over a month for delivery and then when they arrive they’re nothing like advertised. Purchased the framed canvas led earth & moon for $70. The weak led’s stopped working after 2 weeks. Customer service is non existent. One of the biggest rip offs I’ve ever purchased! Great products ! Can’t wait to get them! Takes too long for delivery ! I really like looking at the choices offered. They are very interesting and some practical. I have been ordering stuff and I have not hard any problems with receiving or returning. I ordered a blanket set and found that it’s ripped. This is a scam if you have no return policy than basically I lost $80. I don’t trust the quality of any product they sell. I can always count on finding unique and affordable gifts here! Prices are great! Takes forever to get merchandise. Need to expedite your shipping or give more shipping options. I’m still waiting for something I ordered weeks ago! This company needs to be quick like Amazon! From merchandise to delivery it’s always top notch. I have no idea who the people are behind touch of modern. But they have great staff and are really helpful if things don’t go right. If things are the wrong size it’s easy to send back and they’re quick to give credit or refund. If things are shipped wrong or damaged there’s never a discussion, they are eager to keep me as a customer and problems are solved quickly. The products are unique and if people would bother to find out why it takes a little while to ship they wouldn’t be upset. There is a reason they often offer products cheaper than available directly from vendors. Anyway, I am very pleased. Love everything they sell. Good prices and quick response. Would recommend them anytime!!!!! The return for refund process is a nightmare. You’ll receive an email telling you that they will send you a return label via another email... then nothing happens. Days go bye. You contact them again and again. Apparently, some other department is supposed to send out the return label. About 4 or 5 emails in, I begged for someone to please just send me the label as an attachment, directly, instead of leaving this to some other department. Finally someone actually did just that!!! Thank god!!! I went to your website to find new creative products for camping and couldn’t find even one item. Very cool store with lots of things you won’t find anywhere else. It can be a bit pricey at times, but that’s what makes it one of the best shopping app out there. They have really nice one of kind stuff. The problem is everything is final sale no return. What if an item is damaged? Touch of Modern offers great, unique products, all in one place. Highly recommend. This website is so up to date with the newest and greatest things. I would recommend this app to anyone who is looking for different but modern, contemporary, classy things in their lives. It’s everything that you thought you didn’t need but alway wanted. Everything is quality material. Some of the most unique and interesting items. I’ll continue to shop for interesting family and friend gifts. In order to even browse products you have to create an account and provide an email for them to contact you. I think this is a poor design choice and I uninstalled promptly. Products are always detailed Brand new Low prices (for the product at hand) Always keep you informed about shipping process, etc. Products are second to none Friends always ask me where I get a lot of cool modern stuff from & I always direct them to this app. Great website for cool USABLE stuff! They’ve been easy to work with on returns and the clothes are at a great price. I will continue to use this app. It’s awesome! I can’t help but buy. Everything is so cool! I love this app! But I have to remember it is not Amazon and my purchases wont be delivered by drones in an hour. Quality products and so many fun things I didn’t know I can’t live without!